Take away all the guesswork in DIY home selling. We combine the best practices of real estate with today’s technology to help you sell your home like a pro. No hidden fees. Ensuring you keep your equity. Have you been thinking of listing your home and you know you can DIY, or have you been trying to sell your home FSBO with no luck? 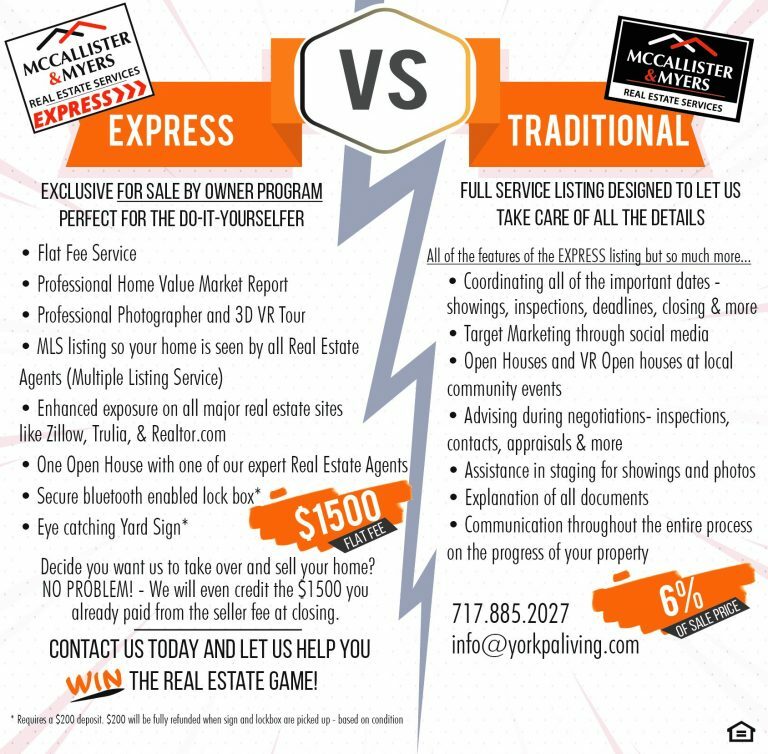 McCallister & Myers EXPRESS Service provides listing and selling tools such as MLS listing services, signs, lock boxes, professional photography, and more, all of which will help you look and sell like a pro. 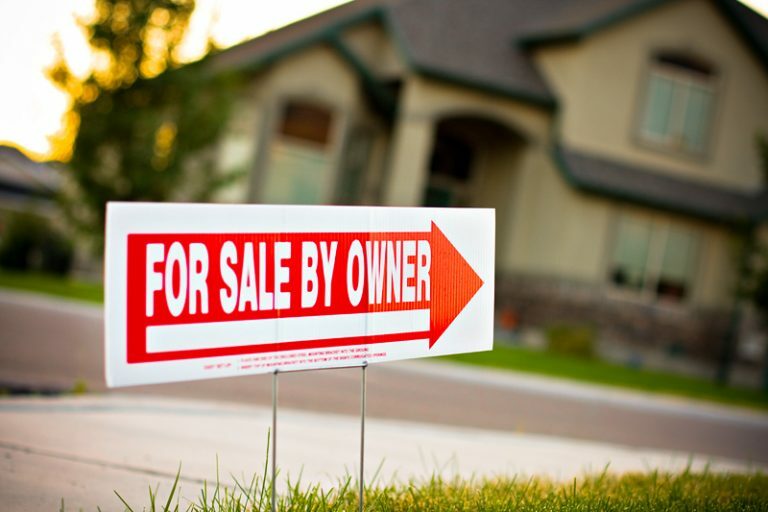 Through an automated and manual valuation process, we will determine the most competitive price for your home. Achieve your goal of listing your home for the shortest time and receiving the highest value. We will assist you in preparing the home for not only showings but for your photographs on the internet. 95% of home buyers are looking online and 72% are using mobile phones or apps to search for their next home. You only get ONE chance to make a first digital impression. A professional photographer will take appealing pictures of your home to attract buyers online. This allows us to highlight your home with high-resolution photos from all the right angles. We also set up a 3D Virtual Reality Tour which will allow prospective buyers to navigate your home on a computer or any mobile device. We make sure your home is properly listed on Zillow, Trulia, Realtor.com, and hundreds of other internet sites buyers check on a daily basis. Let one of our licensed Real Estate Professionals host your Open House. We will make sure that you have the seller’s disclosure and lead-based paint disclosure. We give you access to the latest technology, which allows you the option to have the buyer’s realtor gain access to your house for showings. 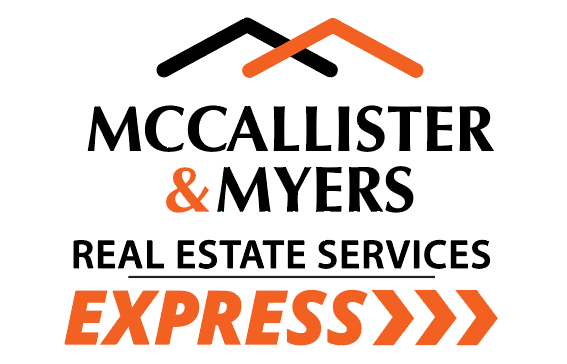 Give your curb appeal a facelift with a professional McCallister & Myers Real Estate Services EXPRESS yard sign to attract buyers to your property.